Try being a Cowboy or Cowgirl for the day! 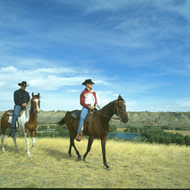 Sagebrush Trail Rides offers three different types of guided trail rides. 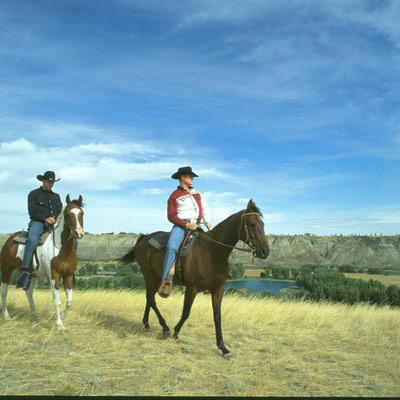 Summer is a great time to view the beautiful scenery from horseback. 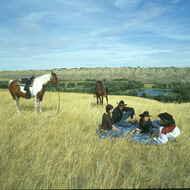 Sagebrush is "Bringing the West Alive" with authentic western moments while riding through the prairies.